Day one of the National Sportsman’s Team Challenge preliminaries is in the books and tomorrow starts the shotgun portion. Many shooters were plagued with malfunctions, some being mechanical and others brain associated. Even some of the top shooters had problems. I watched Doug Koenig come up one round short of being able to clean combo in 2 man. Bruce Piatt didn’t notice one of his targets didn’t go down in the 2 man handgun. One of Nelson Custom Guns dot went out causing him to have to fire a shot and then smack it to get it to come on so he could shoot the next target. Tomorrow is a new day with different guns and hopes of making up ground for today’s errors. Well, Day 2 is in the books and the preliminaries are over. We lucked out and made the 3 man team shoot offs. Tomorrow all teams will start with all the steel events and then after everyone is finished we move on to the shotgun stages. Usually each team that made finals is pretty well matched with the other 2 teams in that class. All it takes is a gun to go down to completely change the outcome. One team may be stronger in shotgun than another team but the other team maybe stronger on steel so things can be very close down to the last shot. All we can do is try our best and hope all our equipment works. This time tomorrow it all be over but the crying. 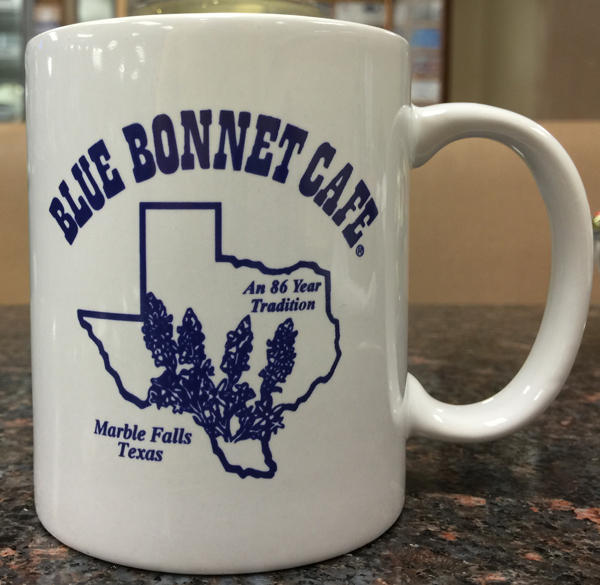 Off to a start with breakfast at the place to eat in Marble Falls – Blue Bonnet Cafe. Day 3 arrived for the shoot-offs. As I went outside to head to breakfast, the wind was blowing and skies were black and it was trying to rain. I received a text from one of my teammates that lives at Round Rock and he said it was pouring on him as he headed to the range. As I came out after breakfast, the rain had quit and the black clouds moved away and it was just overcast and the most comfortable day we had had. The battle for Sportsman A was under way. 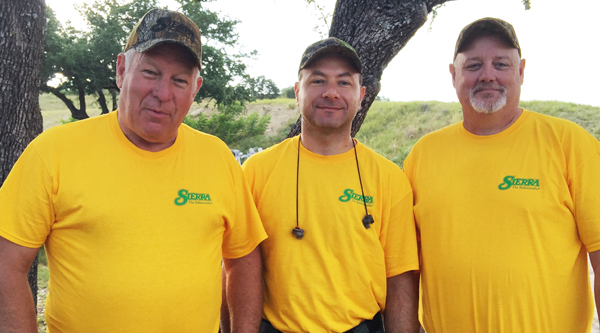 Hayes Custom Guns team jumped into the lead right off the bat, so it left the Sierra 3 Man team battling it out with the Off Target Team for second and third place. It was a close race but we barely managed to edge them out. We had some gun problems on 4 different stages, so that didn’t help either. Mark’s shotgun went down on him in the Flurry and Thomas had problems with his rimfire pistol on the Handgun event. Both Mark and I had a shell fail to feed on the Mixed Bag. We have had to shoot off against Off Target in the past and it is always a close race. They are a fun team to shoot against. Unfortunately this may be the last year for the Sportsman Team Challenge Nationals. It takes about 60 teams for the match to break even and the last 3 or 4 years just hasn’t paid the way. Not near as many sponsors are stepping up to the plate to help support it as in the past either. This has been a great match that I have shot for many years and have really enjoyed as has anyone that shot it. But without participation and sponsorship, unfortunately it won’t be able to go on. I would like to give a heart felt thank you to Jason Massey and the entire Massey family for all that they have done for the last several years. They have loved the STC and put their heart and soul into promoting it (plus spent a lot of their own money) . There will still be regionals going on around the country, so I urge you to get a friend or 2 and go try your hand at one. It will be 6 stages of, “Wow, that was fun.” I hope to see you there because this is just too much of a fun match to let die out. This entry was posted in Competitive Shooting and tagged Bruce Piatt, Cooperhead Creek Range, doug koenig, National Sportsman’s Team Challenge, shotgun, Sportsmans Team Challenge, Texas shooting match. Bookmark the permalink.